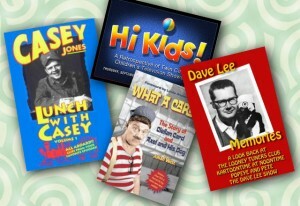 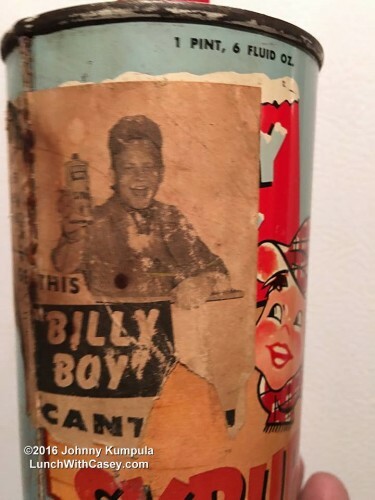 Johnny Kumpula shared these pictures of a can of Billy Boy Syrup with a Casey Jones promotion attached. 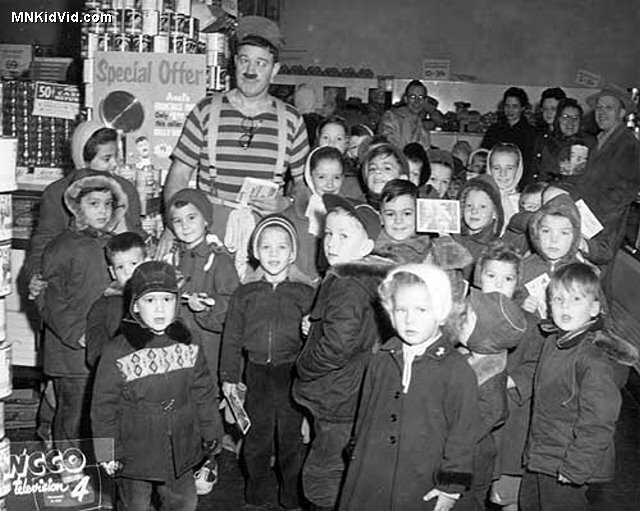 As best I can tell, this dates to the late 50’s. 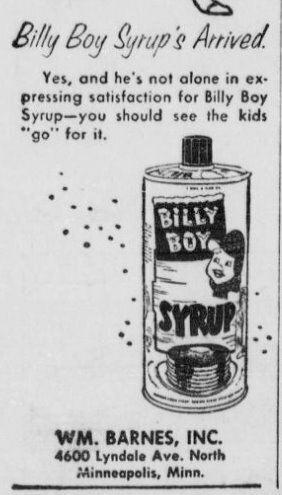 Information about Billy Boy Syrup is hard to come by. 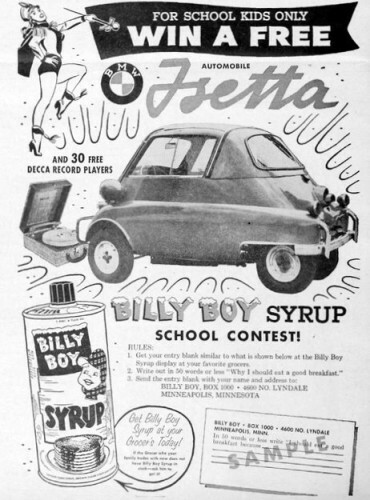 I found a couple newspaper ads dating from 1959. 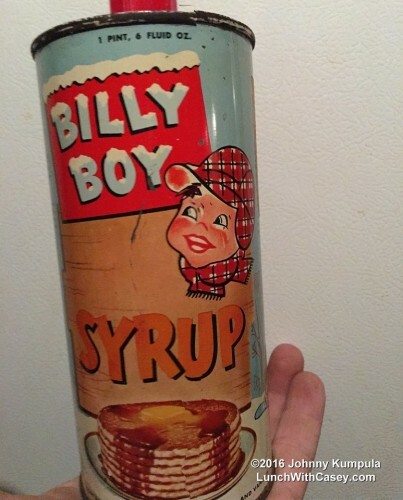 It was produced by William Barnes, Inc. also known as Home Foods, based in Minneapolis and was distributed throughout the midwest. 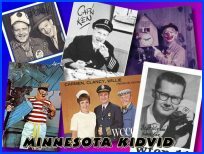 Julian West provided this photo of Axel promoting Billy Boy Syrup at an event in Minneapolis, which he dates to 1956.